At this time, in October 2016, all the instruments listed here are sold. So really this page should be empty or deleted but I have a hard time doing that, just feels a bit too final. So it’s staying up as an example of my previous work and maybe I’ll find the time and inclination to add a few instruments again. The instruments listed here are shipped on approval for a period of 6 days in which they can be returned for a full refund provided they are returned in the original condition. The shipping costs are carried by the customer. The latest in my new series of the rediscovery of my Hauser, it’s very much a twin of the guitar that I described on the What,s New page. With a slightly lower arching this guitar has a strong projection and a warm acoustic sound that belies it's smaller body size. 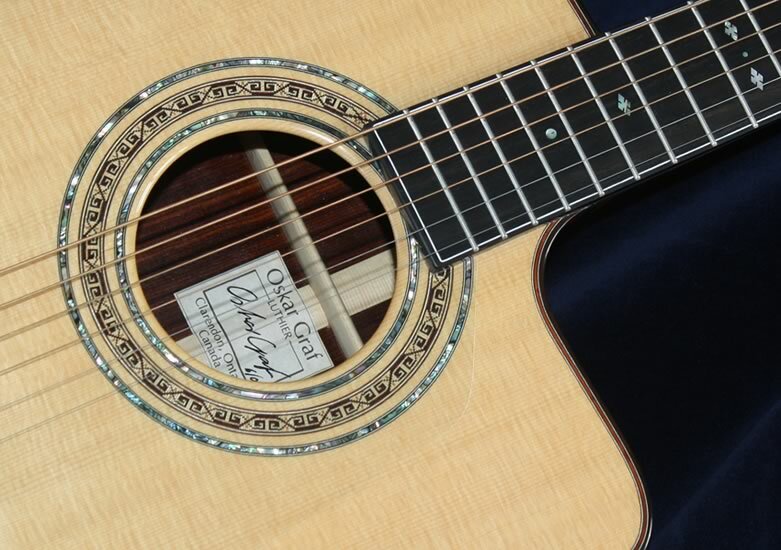 A strong and liveley guitar that will delight any finger-style guitarist. 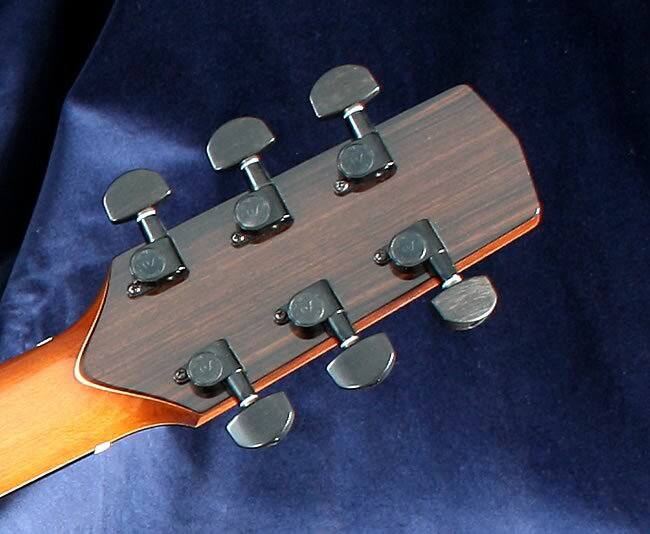 The choice tone woods and balance makes this a very special guitar.